So you’ve decided to embrace living a zero-waste lifestyle, hurrah! I’ve noticed that a lot of people start their zero-waste journey by asking “what can I buy to use instead of...?” Stop right there! 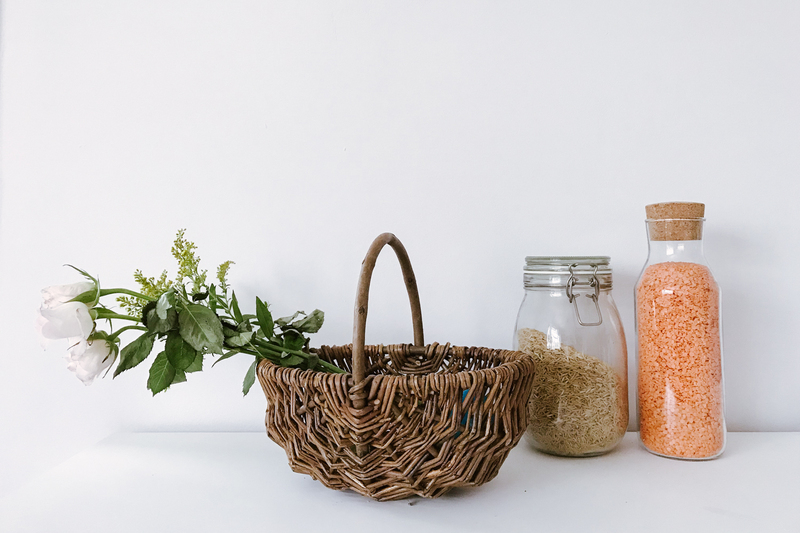 Zero-waste living doesn’t have to be costly at all and chances are you already have plenty of things in your home that you can reuse and repurpose without spending any money. This post in collaboration with Creditfix. With over 70 years’ experience Creditfix has successfully helped over 141,000 people, providing advice on how to best manage their debts, leading them to become one of the most experienced in the market. Here are five no-spend zero-waste ideas that I currently do and they won't cost you a penny. Perfect for starting your zero-waste journey, especially if you are on a tight budget or trying to save money! Among my friends this seems to be the first swap that people are making; ditching disposable coffee cups and using their own. While there are lots available to buy made out of bamboo and glass (affiliate links) for example, you can just make your own by cleaning a glass jar and popping a few elastic bands around it to create band to protect you from the heat. Speaking of glass jars, they can be used for a plethora of different things! I use big ones like empty passata jars for storing dry foods like rice, pasta, lentils, beans, etc. They can be taken to the zero-waste shop to use when refilling. Smaller ones like coffee and jam jars are great for storing leftovers in the fridge, using as drinking glasses and as storage pots. Just take any old fabric that would otherwise have been recycled for rags and cut them up into the size you need. You can use them as dish cloths, cleaning cloths, baby and toddler wipes, face cloths - you get the idea! I actually saw this tip shared on Facebook by a B&B and thought it was genius! Most people get a free local paper delivered weekly, so once you’ve finished reading use it to line your bin. If you don’t get newspapers you could ask a friend or relative if they could save theirs for you to use. Some of the cafes in my town have newspapers for customers to read, you could even ask to take them at the end of the day. This is a tip that I spotted in the Thug Kitchen cookbook (affiliate link). Most vegetables scraps, like the ends of leeks, onion skins, carrot tops, etc can be used for making stock! I have a bag in the freezer that I chuck them into, and once it’s full they can be boiled and sieved to make a delicious stock for soups and stews. Avoid anything bitter like cabbage and broccoli though. So there you go, five super simple ways to get started on your zero-waste journey for free! Have you got any other no-spend tips?